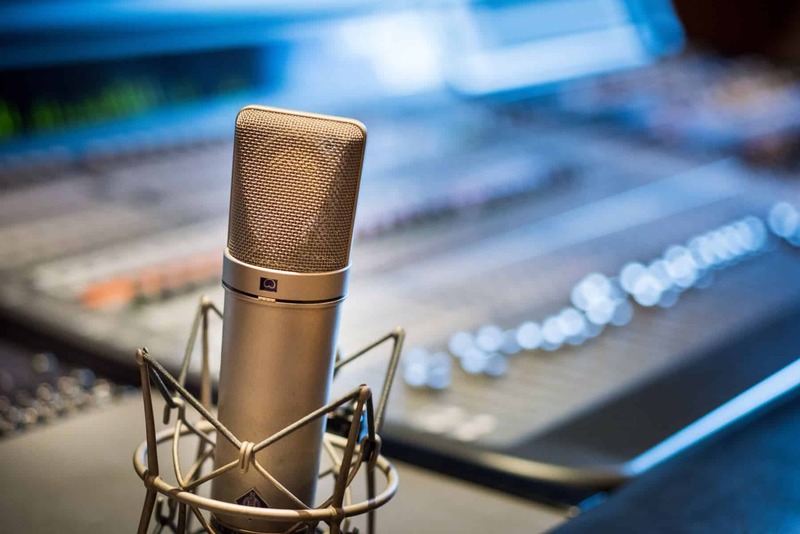 Using the right microphone for the job is vital if you want your music to sound radio-ready. But choosing a microphone can be confusing. Especially when it’s your first time recording. 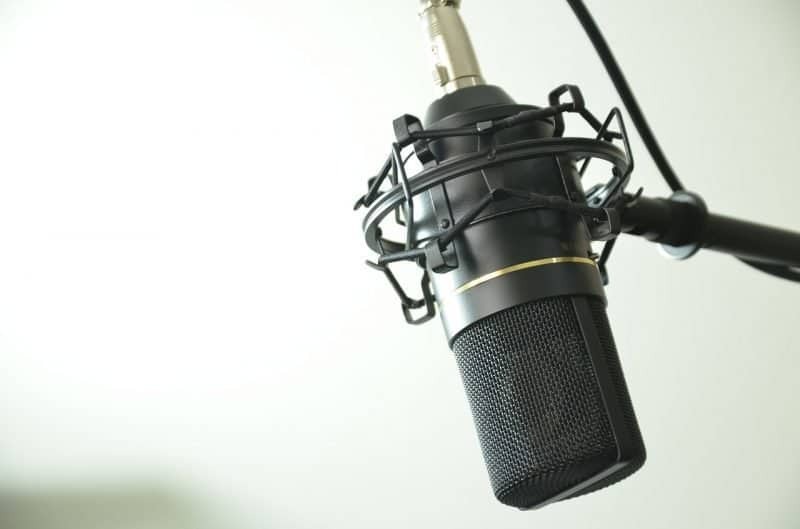 So, what are all these different types of recording microphones, and which is right for you? By the end of this article, you’ll know what the main three types of microphones are, and when to use them. But first, grab a FREE copy of my Home Recording Cheat Sheet. 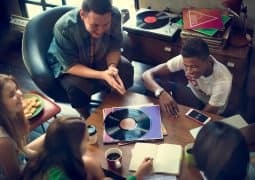 It goes over everything you’ll need to know before you hit the record button in your bedroom session. 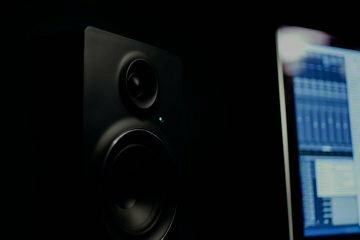 Where to record in your room, what acoustic treatment you need, which mic techniques will get a more intimate performance… everything! What Are the Three Different Types of Studio Mics? Which Microphones Should You Use? Which instruments would you like to learn about? Each microphone has its own unique sound and strengths. When paired with the right instrument, it can make it sound better than even the real thing. On the other hand, each mic can just as easily sound terrible if used incorrectly. So let’s learn what each mic can and can’t do, shall we? 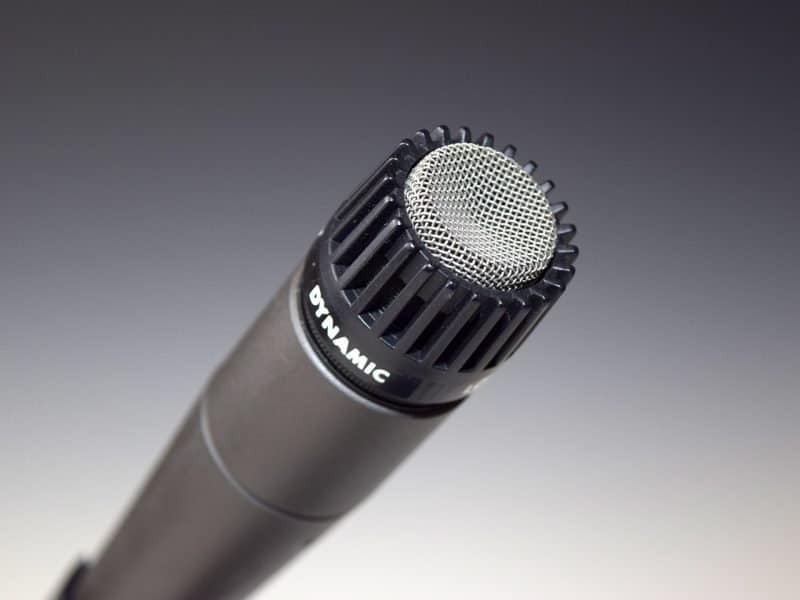 Let’s start with the granddaddy of them all… the dynamic microphone. Dynamic mics, like the Shure SM57 or the Sennheiser MD 421-II, are the workhorse mics of the studio. Dynamics are tough mics. They can get hit by drumsticks, dropped on stage, and even survive a fall from a helicopter – twice. 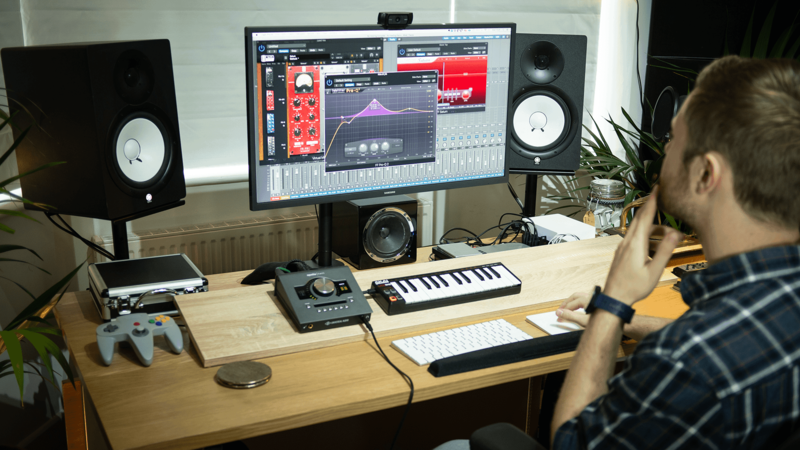 They can take the wear and tear of a home studio – and then some. Dynamic mics are not particularly sensitive, which makes them perfect for loud sources. This is why you often see them on snare drums and guitar amps. Because they’re insensitive, they’re very versatile. Dynamic mics are used on all kinds of sounds in the studio. And because they’re usually the cheapest of the mic types, they’re also easiest to stock up on. 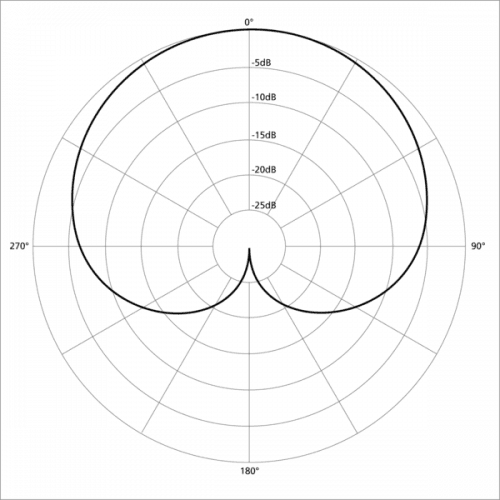 Dynamic microphones have a unidirectional pattern (otherwise known as a cardioid pattern – because it looks like a heart). This means that the mic picks up sound in the direction it is being pointed, and cancels out any sound coming from behind it. 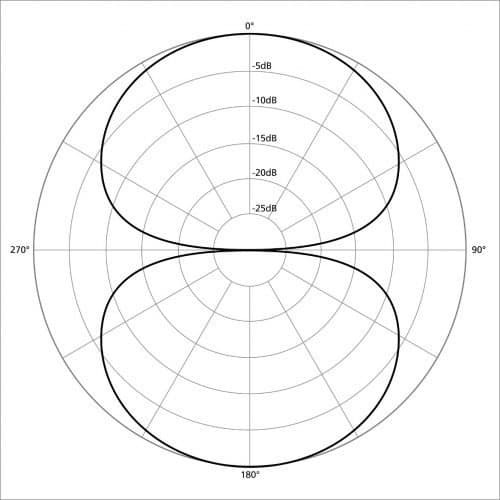 This type of polar pattern is great for home studios where the room is your worst enemy. You can strategically place your recording microphones to point away from reverberant parts of your room. It’s a great way to compensate for being in a bedroom or living room. Dynamic mics are often used on instruments with a lot of low-mid energy. They have a presence boost in the high mids to compensate for that. 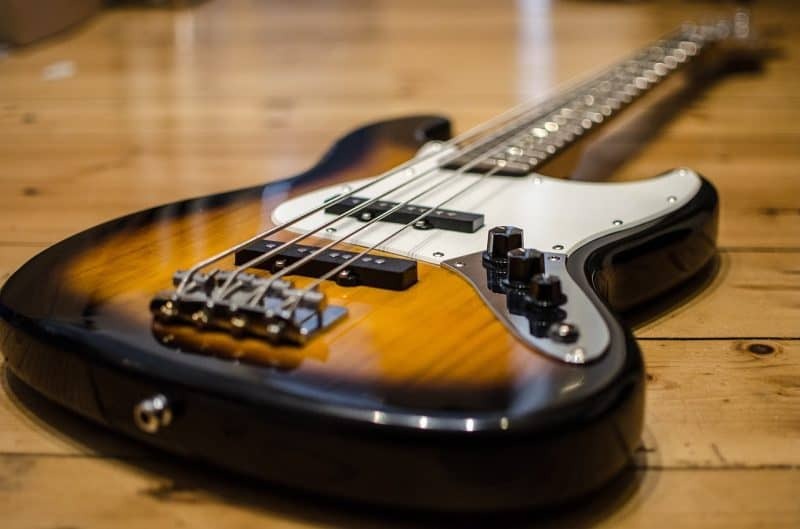 Most dynamics also have a roll-off in the bass, so they’re not great to use on low end instruments (such as the kick or bass). 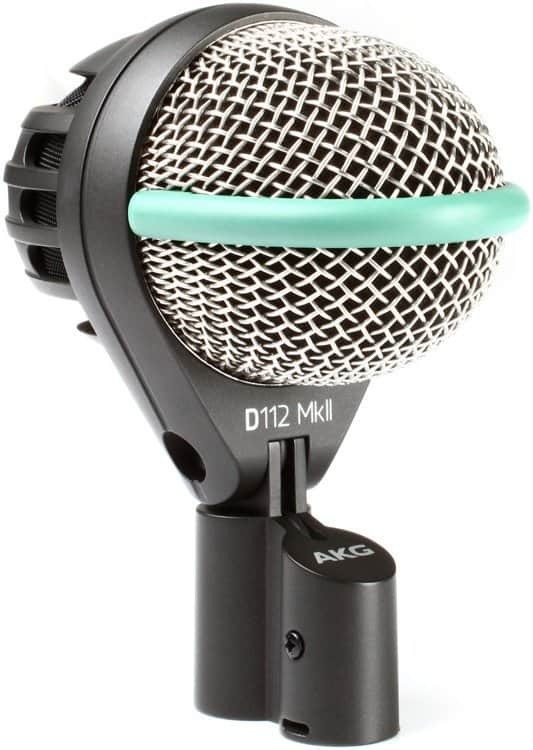 But there are special low-end dynamic mics with a bass bump that are actually meant for low end instruments (like the AKG D112 MKII or the EV RE-20). Make sure to stick with these if you’re going to be miking bass instruments. Dynamics are great mics to use on almost everything. Be aware though that the sound will not be as accurate or “pretty” as a condenser mic. 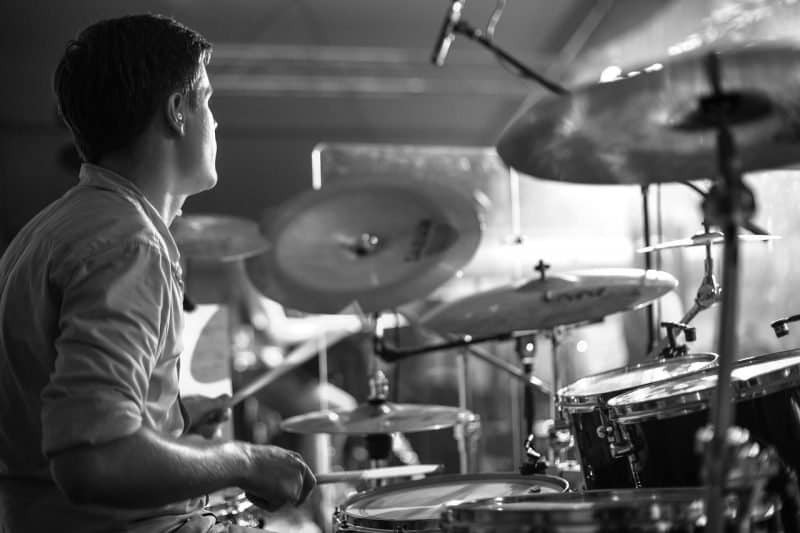 Dynamics tend to make instruments sound warmer and more aggressive. We’ll go over what instruments use dynamic mics below. But first…. Condenser mics are the rich, frilly cousins of dynamics. They’re more complicated than their dynamic counterparts, so they’re more fragile and expensive (though they have gotten much, much cheaper than they were in the past). That said, condenser microphones are much clearer in comparison to dynamics. They are more balanced, accurate, and “sweeter” than their powerful counterparts. They’re also much more sensitive, which makes them perfect for softer and brighter sounds. As a studio microphone, they’re very powerful. Condensers can’t be used on quite as many sound sources as dynamics. The ones they can be used on, though, sound much better because of them. Condensers pride themselves on being able to make sounds even better than they were before. Because of their top-end bump, condensers give extra “air” to what they pick up, making them sound less muffled than a dynamic would. And Omnidirectional, which picks up sound from all over, canceling nothing. These help to make condensers a versatile mic in their own right. There are two different types of condenser microphones, which can be swapped out depending on the instruments. The first is the Large Diaphragm Condenser (like the Audio Technica AT2035 and the se2200). These pick up more lows and low mids, but a little less of the highs. These are great on full-bodied instruments. And there is the Small Diaphragm Condenser (like the Rode NT5 or the Shure SM81). These pick up less lows and low mids, but add a lot to the top end. These are also known as pencil microphones. They’re better for capturing brighter instruments. Both would be a great addition to your mic collection! 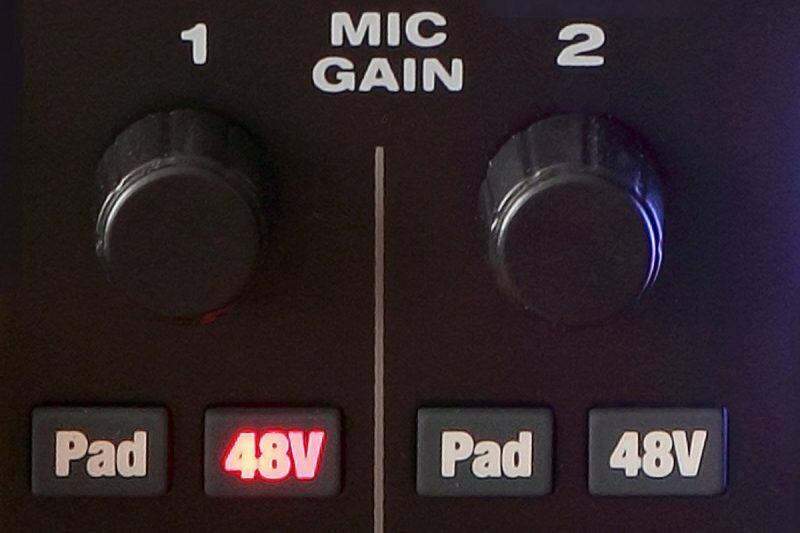 One important note about condensers: make sure you are using an audio interface that can supply power to a recording microphone. Condenser mics need 48V of power to work. This is known as “Phantom Power.” Most interfaces have this option, but it’s worth double checking before making any big purchases. Ribbon mics are the black sheep of the family. These microphones were very popular in the 50’s and 60’s, before dynamic and condenser mics came onto the scene. As such, they’re very fragile and very expensive. But few mics can produce the warmness and vintage “vibe” that these can. These are the most sensitive mics around, so they’re meant to be used on softer sounds, like voice or strings. Ribbon mics are also always bidirectional. So they’re better used in a room that is well treated to lower the amount of room sound that is captured. 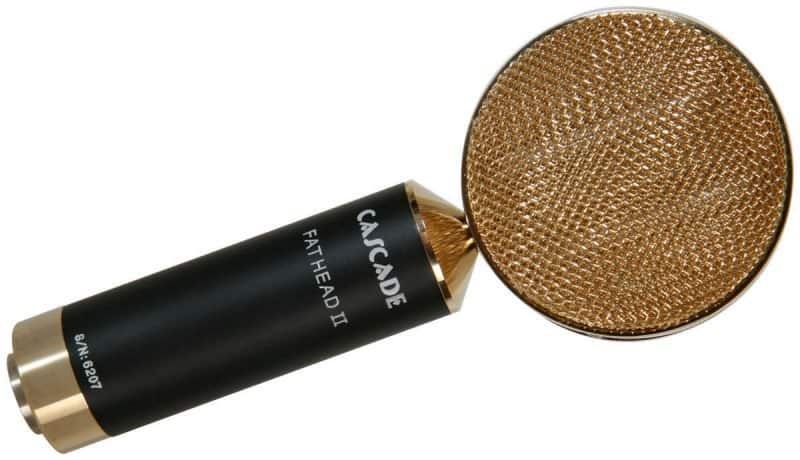 A few popular examples of ribbon mics are the Cascade Fathead and the Royer R-121. These are great additions to your mic collection, but shouldn’t be purchased until you’ve gotten the hang of dynamics and condensers. Or, depending on your genre, shouldn’t be purchased at all. For a home studio, I wouldn’t stress over quickly picking up one of these. Now that you know the types of microphones there are, which should you use, and on what instruments? Use the handy filter system below to select which specific instruments you have questions about. For vocals, you could use all three mic types – it entirely depends on the vocalist and the song! 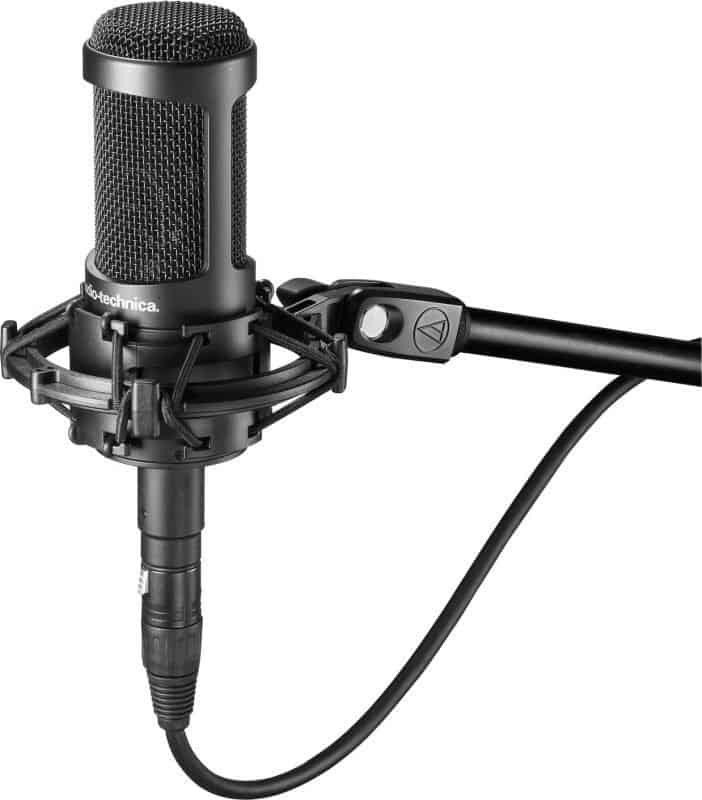 Different types of recording microphones are popular for different genres and vocal tones. For example, a warm singer might want to use a dynamic mic to accent his natural timbre. But he might also want to use a small diaphragm condenser to counteract it if its too much! 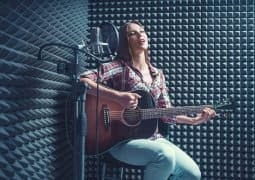 A bright singer might want to use a condenser mic to accentuate her nature timbre, but could also use a ribbon mic if her tone needs to be tamed! There’s lots of options. That’s why it pays to have two or three microphones that you can test on each singer. You won’t know what will sound best until you try. Dynamic mics are better for more aggressive singers or genres like rock and metal. Condenser mics are better for more controlled genres, like alternative and pop. Ribbon mics are better for very “vibey” genres, like folk, jazz, or blues. 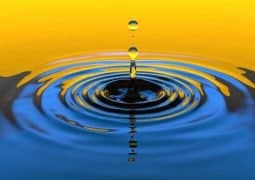 Don’t forget, though: the techniques you use to record affect the sound just as much as the mic. 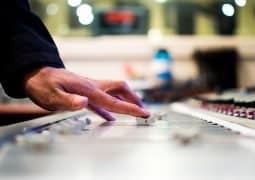 Grab a FREE copy of my Home Recording Cheat Sheet to avoid making common mistakes that could be ruining your recordings. 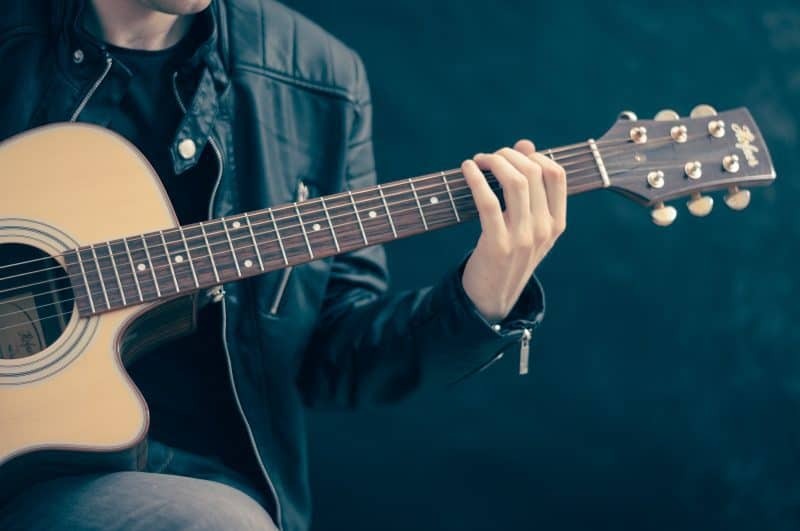 Acoustic guitars tend to be brighter and more percussive. Small diaphragm condensers usually work best on these. If you are trying to create an old folk sound, a ribbon mic or dynamic mic would do wonders as well. There are exceptions to this rule, but usually guitar amps are the realm of the dynamic mics. These things are loud, intense, and have very little high frequency content for a condenser to pick up. Stick with a classic SM57 and you’ll be fine. 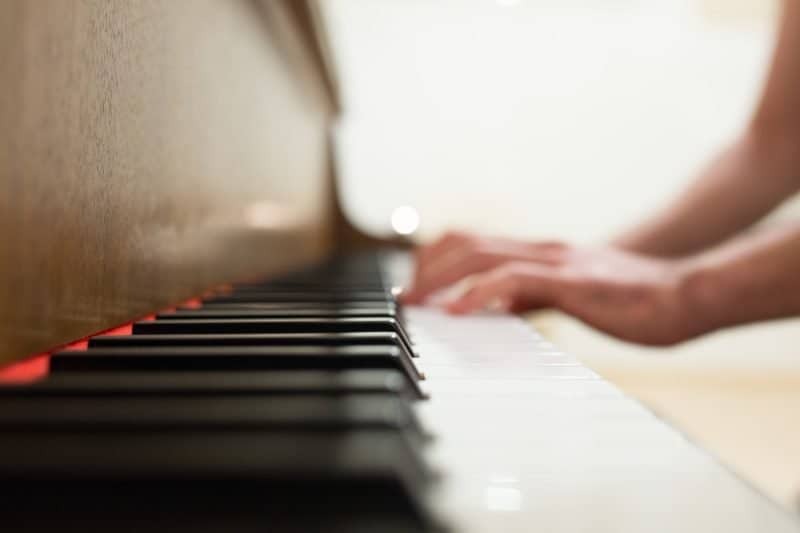 The kind of microphone you use for a piano depends on the genre and the tone. Recording a punchy upright for a rock song? A pair of dynamic mics would work fine. Recording a smooth grand piano for a ballad? A pair of condensers is your best friend. 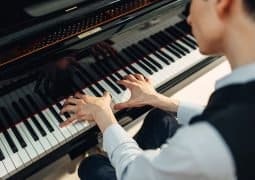 Whether you want them to be small or large diaphragm depends on how bassy or bright you want the piano to sound. If you can’t figure out which to use, the rule of thumb for pianos is to lean on the side of condensers. These are usually either condenser mics or ribbon mics, depending on the sound you are going for. Condenser mics will create a more accurate depiction of the string tone. Ribbon mics, however, will add warmth and extra character to the sound at the expense of accuracy. If you were to use a condenser, the size would depend on what you were recording. Violin will almost always be a small diaphragm condenser. Cello will usually be a large diaphragm. If you are recording an entire string section, it’s best to stick with a pair of large diaphragm condensers. 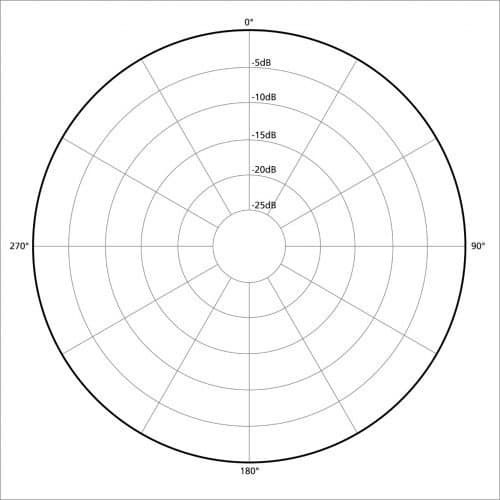 You’ll be able to capture a much larger part of the frequency spectrum. There’s a lot of different sound sources that need to be captured. If you’re in a home studio, this means a lot can go wrong. I usually recommend recording drum kits in a professional studio or using drum replacement software like EZdrummer 2. Each of the drums will be closely miked with a dynamic microphone. Some people will also put a dynamic mic underneath the snare drum to catch the rattle of the snares as well. The kick drum will be miked with a low-end dynamic microphone. Your overheads will be a pair of small diaphragm condensers. If you’re recording hi-hat, this will also be a small diaphragm condenser. If you are wanting to use a room mic, those are usually a large diaphragm condenser mic or a ribbon mic. You may not have the budget to go out and buy all that gear. If so, stick with the basics: a snare mic, a kick mic, and a pair of overhead mics. That should get your started. 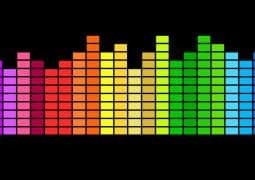 Bass amps are recorded using low-end dynamic mics. 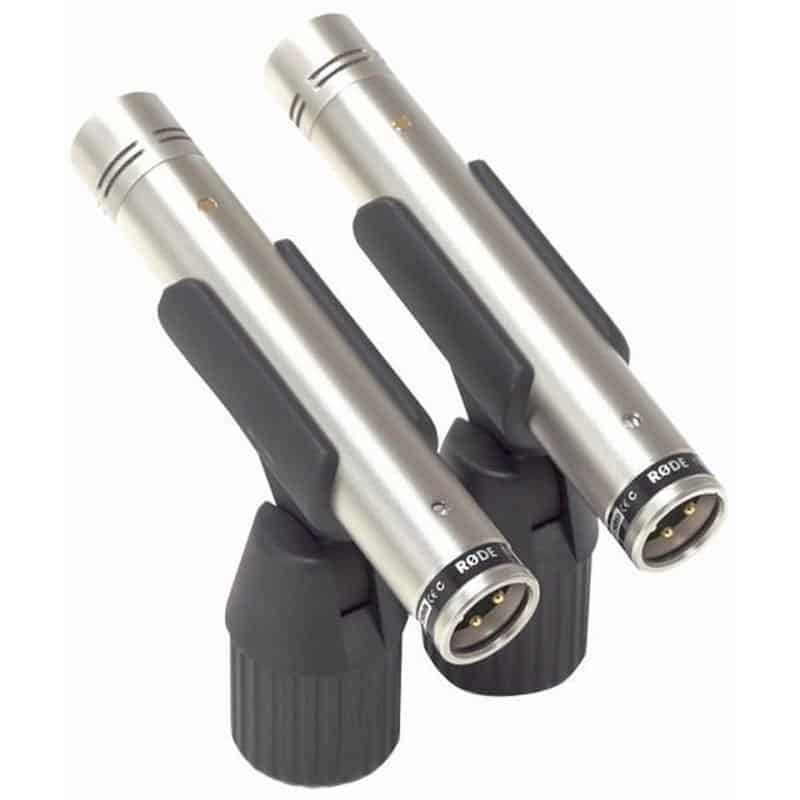 These mics are designed to handle the low frequencies coming from the cabinet. An upright bass is more complicated. How present will it be in the mix? How much detail do you need to capture? I will usually use a combination of a low-end dynamic mic and a large diaphragm condenser to see which tone I like best. What Mics Should I Get First? But if you’re on a budget and you’re buying your first studio microphone, I would stick with getting two mics: a dynamic and a large diaphragm condenser. These two mics should cover the entire spectrum of sounds you’ll be recording. 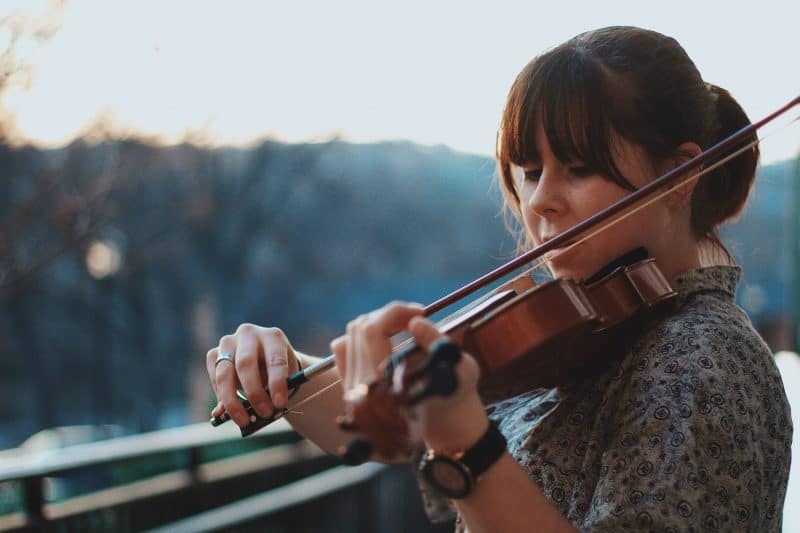 Between a dynamic vs condenser, you should be able to cover any instrument you need. You’ll want to branch out in the future, but for now, these will get you 80% of the way there. For your first mic purchases, I’d recommend going with the Shure SM57 and the se2200. They are two of the best cheap microphones. Both are mics where the quality definitely outpaces the price. Once you’ve learned to use those well, then invest in a pair of AKG P170’s. They are extremely cheap for small condenser mics, but they’re an incredible bang for your buck. Do I Have to Use a Microphone? Actually, no. Not for everything. 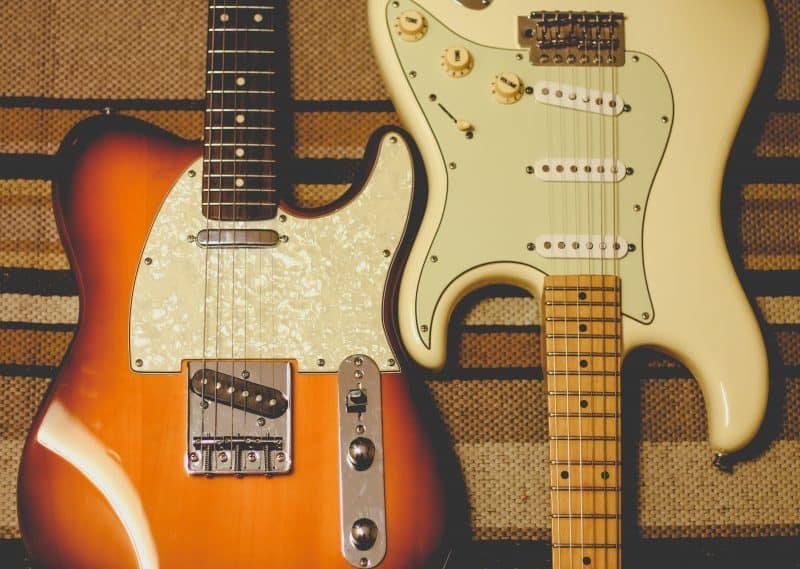 For guitar, bass, and drums, you could be fine going digital. 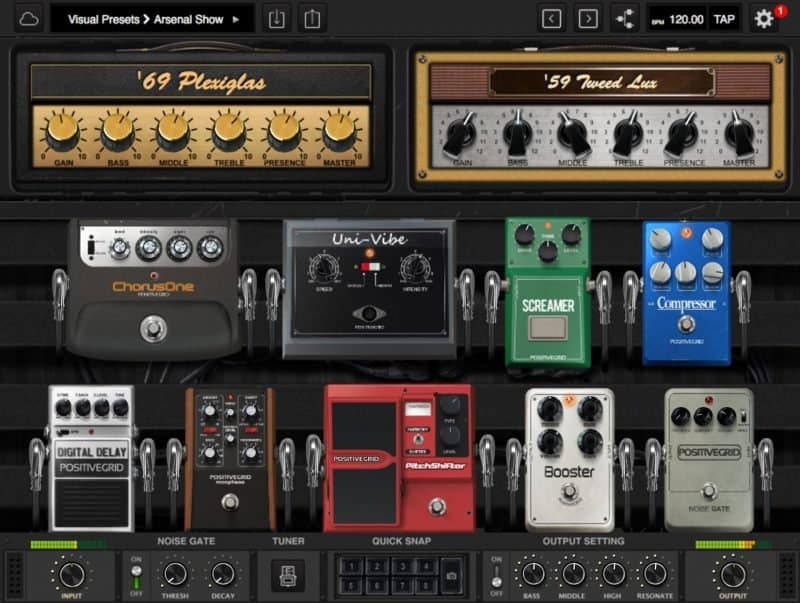 For guitars, I’m a big fan of recording direct-in and using amp simulators like Bias FX for electric guitar or Softube’s Bass Amp Room for bass. You can get some incredible sounds that you honestly just couldn’t recreate in your bedroom. 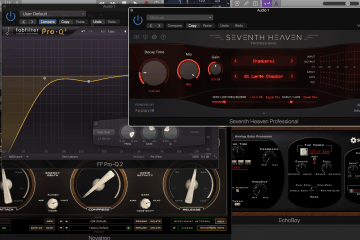 For drums, the software out there right now is amazing. 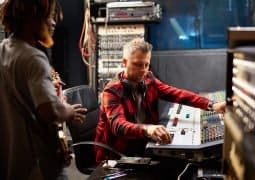 I’d recommend programing your own drums (or just recording them in a professional studio). I use Toontrack’s EZDrummer 2, and I love it. The stuff you can make in here sounds so real. The 21st Century is amazing, let me tell you. Now that you know what options are out there for you to use, here’s my advice. Invest in a few different microphones. 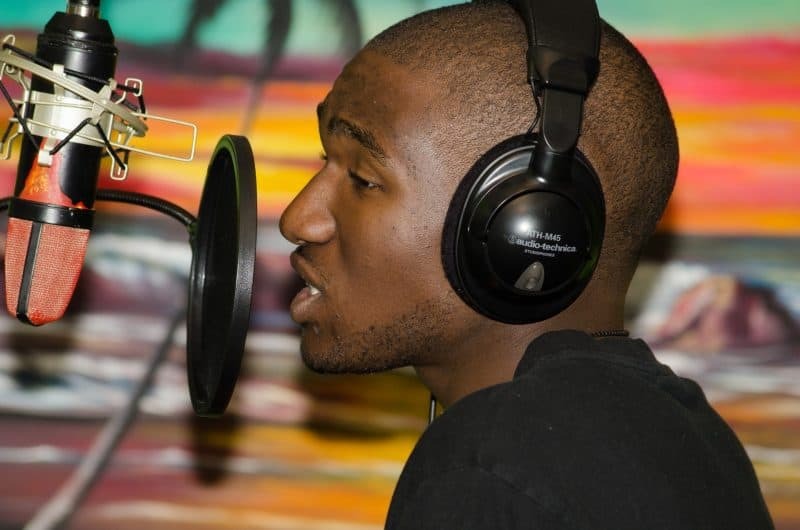 There’s no rush – it’s not like you can’t record music unless you have a full mic closet. But having a few different options to try on different instruments can be a huge benefit to your tracks! An instrument with a well-paired microphone will sing like you would never expect. Before you leave, be sure to grab a FREE copy of my Home Recording Cheat Sheet. 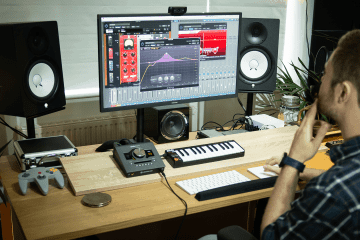 It’ll keep you from making mistakes that could be ruining your recordings. Nice recap…however ribbon mics are not necessarily as fragile as they used to be and aren’t always a figure 8 pattern any more FYI. Also I would avoid recommending specific mics because (and as you mentioned) what will work best, even if it wasn’t so subjective in itself, varies a lot depending on the specifics.